Home / Readers Forum / Update Your Car! As technology develops and becomes more advanced, we must consider the possible effects and problems that may arise. Recently, cars have become the latest example of this problem. The FBI has began warning people about possible software hacks within their cars from internet hackers. 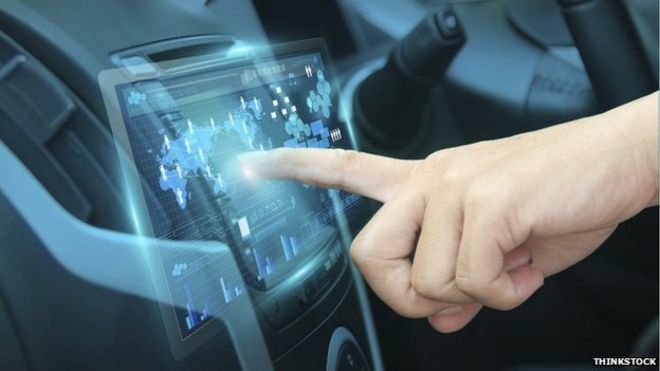 Many cars now incorporate internet technology, including software that helps navigation (i.e. GPS), fuel efficiency, and safety; this means that cars are now more connected than ever. Unfortunately, many people did not consider issues of hacking until last year, when 1.4 million Jeeps were recalled after U.S. security workers hacked a jeep from afar. This issue has presented many complex problems that now must be considered. For example, how can cars still incorporate this software while still keeping the consumer safe? And, how can companies ensure customers that they aren’t at risk for having their car hacked. This issue is especially relevant because it is important to consider how companies are going to meet the triple bottom line of serving their customers without putting them in harms way. This also brings up the problem of how we can adapt to new technology and keep safety laws up-to-date. I believe to solve these issues, companies must develop safety nets to avoid all problems, and ensure that before they release any new technology that it is hacker-proof. Also, if companies do make a mistake, they should embrace their mistake, apologize to their customers and try to fix it in the most socially responsible way possible.